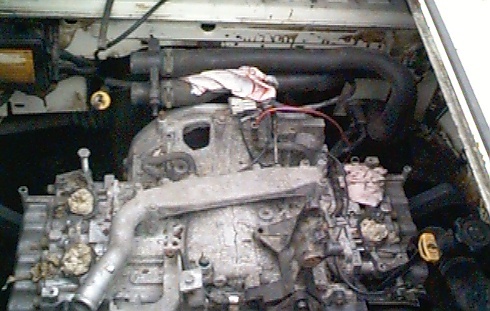 Tim Smith, of Fredericton, New Brunswick (Cananda) is in the process of installing an Subaru engine in his Vanagon Crew Cab. This conversion is serving as a prototype so that he can later convert his Syncro camper to Subaru power as well. One of Tim's design goals is to fit all the engine components in the Syncro stock engine bay without raising or altering the engine cover. Note: Click on thumbnails for expanded images! 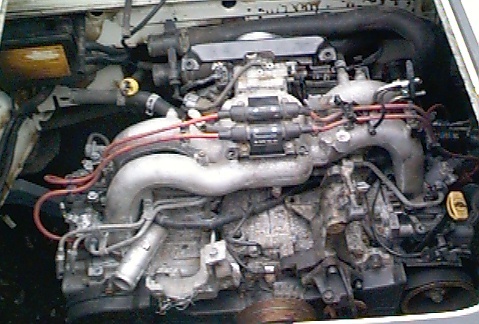 To the left is a view of the stripped Subaru engine in Tim's Crew Cab. Notice that the Subaru is a boxer (horizontally opposed cylinders) engine, just like the VW Wasserboxer. It's similar design makes for an ideal tranplant! Tim has designed his own adaptors to mate the engine and transmission. For potential swappers that want a more bolt-in approach, adaptor plates and other conversion goodies for the Subaru are available from Kennedy Engineering. Here's another picture with the fuel injection and crank-triggered (no distributor) ignition system mounted. If you look really closely at the lower right of the picture, you can see a pulley on the front of the cylinder head. The Subaru engine has an overhead cam on each head instead of a central camshaft with pushrods, which should allow the engine to have a higher RPM limit. This is the view below the engine. You can see Tim's simple, but elegant mounting system. 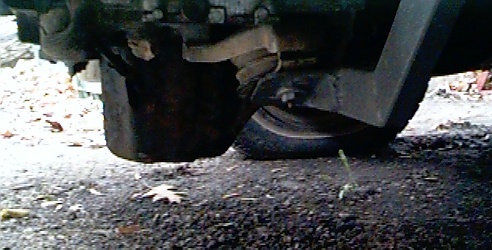 One concern is that the oil pan hangs close to the ground. Not a real big problem on the Crew Cab, but since Tim's Syncro has a skid plate under the engine, he plans on shortening the pan to fit when he tackles that conversion project. This is a shot of the motor mounts that Tim fabricated. 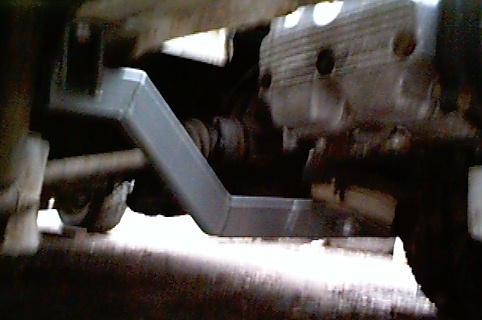 It is a bit blurry, but you can get a good idea of what the engine support looks like. 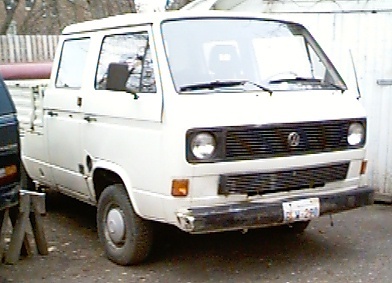 the design is similar to the original VW engine carrier, but is mounted further forward to accomodate the Subaru. 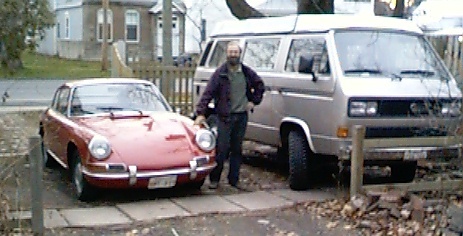 Here are a few photos of Tim, his Crew Cab, Porsche 912 and his future conversion project, the Syncro.